The report said that there are several alternative fuels currently being developed which, although cannot compete with fossil fuels, will have “the potential to transform the industry.” According to the research, manufacturers are spending “huge sums” in battery technology, and it appears “inevitable” that the largest trucks will be able to use this kind of power in the next five years. 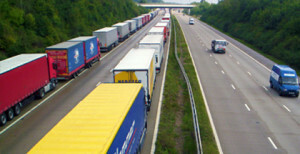 However, the report said that despite the UK experiencing growth, the road freight market still remains “muted”. Estimates show that the European road freight market grew by 2.5 per cent (in nominal terms) last year, which is less than 2014 at 2.8 per cent.